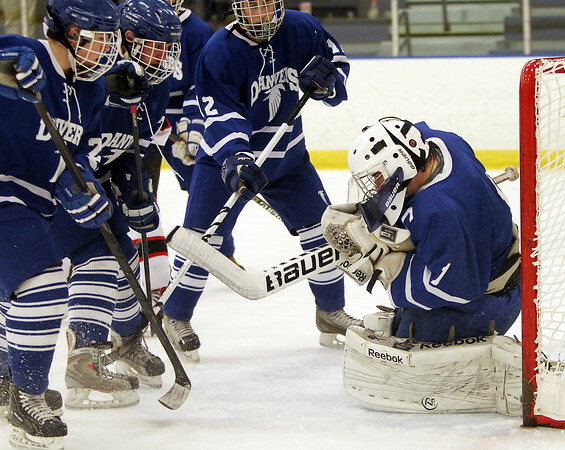 Danvers senior captain and goalie Alex Taylor holds onto the puck after a shot while surrounded by teammates at the Rockett Arena at Salem State University on Saturday afternoon. DAVID LE/Staff photo. 1/17/15.